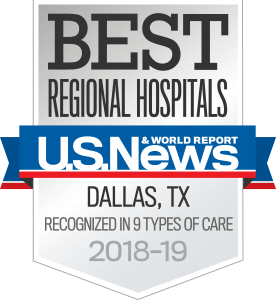 UT Southwestern Medical Center's Interventional Neuroradiology faculty includes specialists in head and neck radiology, spine radiology, and magnetic resonance imaging. We use the latest imaging technologies to conduct more than 3,000 innovative, minimally invasive surgeries annually. Our team specializes in standard neuroradiology computed tomography (CT) and magnetic resonance (MR) imaging, diagnostic myelography, angiography, and discography. We have extensive training and experience in catheter-based treatments such as cerebral aneurysm coiling (embolization), carotid and cerebral angioplasty and stenting, and dissolving blood clots in stroke. The faculty conducts research activity in many of these areas, as well as patient studies in conjunction with clinical services on the campus. We also maintain our own research angiography lab. With unique procedures and technologies such as kyphoplasty, angiography, vertebroplasty, and radio frequency ablation – in addition to the more standard computed tomography (CT) scans and magnetic resonance imaging (MRI) – our interventional radiology physicians can visualize internal organs while performing surgeries with minimal disruption to your body and overall functionality.